State-of-the-art training/teaching facilities, international collaborations and recognitions, a full-fledged academic system and new launched programs and colleges have consolidated GMU’s reputation as one of the most sought-after destinations for cutting-edge medical education, attracting student applications in large numbers to various courses for the upcoming academic year. Gulf Medical University – Ajman, one of the most popular medical education destinations in the Gulf region, has emerged as the biggest private medical university in the region with the addition of new programs, prestigious regional and international collaborations, multiple global accreditations, increasing student numbers and and its transformation into the region’s only private Academic Health System. Gulf Medical University has launched two new colleges and seven new higher education programs starting from the upcoming academic year 2018-19. The newly launched colleges include the Nursing College and College of Health Care Management and Health Economics, which brings the total number of colleges to six. The University offers 20 accredited courses, with around 4 more additional courses awaiting accreditation, expected to be added soon. The undergraduate programs include: Bachelor of Medicine and Bachelor of Surgery (MBBS), Doctor of Dental Medicine (DMD), Doctor of Pharmacy (Pharm. D), Bachelor of Physiotherapy, Bachelor of Biomedical Sciences (BBMS), Associate Degree in Pre-Clinical Sciences (ADPCS) and Bachelor of Science courses in Anesthesia Technology, Medical Laboratory Sciences, Medical Imaging Sciences and Nursing. Masters programs include: Joint Masters in Health Professions Education with FAIMER, US & CenMEDIC, UK; Masters in Public Health in collaboration with the University of Arizona, US; Master of Physical Therapy, Master in Clinical Pharmacy (MPHARM in Clinical Pharmacy) in collaboration with Virginia Commonwealth University, US & Cleveland Clinic Abu Dhabi; Masters in Environmental Health and Toxicology; Masters in Periodontics and Masters in Endodontics. The GMU enjoys a robust collaboration with a number of prestigious universities around the world, such as the University of Arizona, Virginia Commonwealth University, Medical College of Wisconsin in Milwaukee – USA, University of Saint Joseph School of Pharmacy in Connecticut, German Heidelberg University, American University in Cairo, University of Ghana, Medical University of Lublin, Tokyo Medical &amp; Dental University, etc., as well as research institutes such as the Gustave Rossi Cancer Research Institute – France. An important aspect that differentiates GMU is its use of the latest technologies in teaching and training students across all majors, to ensure their workplace readiness once they graduate. One of the most prominent uses of technology in teaching is the Virtual Patient Learning (VPL), a simulation program that enables medical students to diagnose, treat and observe a patient’s progress, based on Artificial Intelligence technology. The Gulf Medical University Academic Health System (GMUAHS) links the healthcare, medical education and research functions on its own. Part of GMUAHS are the Thumbay Hospitals and Thumbay Clinics operated by the healthcare division of Thumbay Group at multiple locations in Dubai, Ajman, Sharjah, Fujairah, Ras Al Khaimah and Umm Al Quwain, as well Thumbay Hospital – Hyderabad. The latest additions to the GMU Academic Health System include Thumbay Dental Hospital – the first private dental hospital in the country and the largest academic dental hospital in the Middle East region’s private sector, as well as Thumbay Physical Therapy and Rehabilitation Hospital – the biggest and most advanced hospital for physical therapy and rehabilitation, the recent additions to Thumbay Group’s academic hospitals. 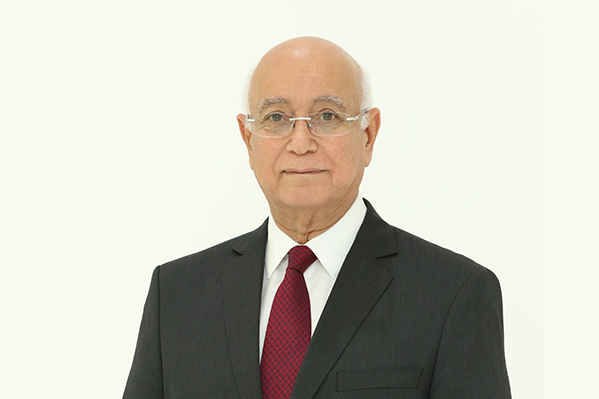 “The Gulf Medical University is the medical university of the future,” says Prof. Hossam Hamdy, the Chancellor of GMU. “The strategic plans of Gulf Medical University include increasing its global footprint by setting up three new medical university campuses in three different countries. GMU aspires to transform into a research-based university by 2025,” adds Prof. Hossam Hamdy. GMU attracts students from new countries each year, and the University’s student community is approximately 2000-strong today, hailing from more than 80 countries. The student population is growing every year. The well-organized alumni network has professionals pursuing successful medical and healthcare careers around the world. Furthermore, the growing stature of Gulf Medical University is evident from the regional and international recognitions it continues to receive. In 2017, GMU has been ranked among the top 50 medical universities in the Middle East, and bagged Gold at the prestigious Sheikh Khalifa Excellence Awards, 2018. GMU also secured top positions in e-learning regionally and globally at the Wharton QS-Stars Reimagine Education Conference & Awards 2018 in the USA, in addition to obtaining 5 stars in teaching and community engagement by QS. The University also received the prestigious Dubai Quality Appreciation Award this year, for the 2017 assessment cycle. With the new developments, Gulf Medical University (GMU) has been witnessing an unprecedented demand for admissions, attracting top students from different parts of the world desirous of pursuing futuristic medical education. As soon as admissions for the new academic year were announced by GMU recently, the Admissions Department started receiving applications in large numbers. Admissions for the academic year 2018-19 are in the final stages and officials are currently in the process of shortlisting and interviewing admission-seekers.